Babes in Toyland are back. That might not seem like news, with the array of favorites from previous decades doing the same, but the grunge-punk trio are picking it right back up like there weren't 14 years in between—and audiences are reacting in kind. A lot of their motivation for reuniting has been their effect on fans. "I have a lot of people tell me that, because of me, they play in a band. That's wonderful, because there's nothing better than music," Barbero explains—especially "if you can influence anyone to do anything that makes them feel better, that makes me really happy, and hopefully, helps make the world a better place." Both of the towns she has called home—Austin, Texas (where she lived for seven years), and her native Minneapolis—are known for great music. Some new pop music isn't to Barbero's liking. She relates the story of traveling with her friend John, complaining to him about the "cream of wheat" music she heard on the so-called alternative radio station. "It doesn't taste like anything," she told him. "It's very mild, and it's cheap, and ... it's just kind of mushy. I remember when kids liked music that they could relate to, because they could get their aggressions out and feel something. This music is like a girl playing an autoharp reading her diary." Notwithstanding her aversion to squishy diary-core pop, Barbero still criticizes stereotypes about women in music. "Some people can't get over the fact women can write a song and play an instrument, because women aren't supposed to be able to do anything a man can do. So they have to talk about gender, and sexuality and clothes, as opposed to the music." Babes in Toyland were around before the riot-grrl scene started, but as far as being associated with it, she admits, "As long as we can encourage empowerment for women, that's really great, and if there's anything I'm really proud of, that's it." Barbero believes her physical strength helped her recover from an accident two years ago, when a 63-pound box fell on her neck at a home-improvement store. After undergoing physical therapy, Barbero adapted her drumming technique. "Before, I was just flying all over the place. Now I'm using my arms more. I'm more straight and basic, but now I throw my torso instead of my neck." 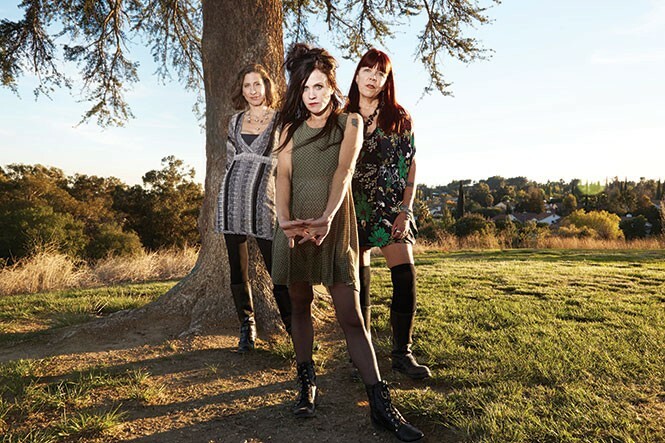 The drummer says "everything fell into place" for a Babes in Toyland reunion tour. This included funding by Powersniff, a music and entertainment company founded by former Google employees (one of whom is Herman's former boss from the digital-music company Fuzz). The trio may record again post-tour but, for now, they are enjoying playing the old songs for enthusiastic audiences that include younger fans. "We were playing when [some of] these kids were in diapers, so it's crazy when they know all the words." For the band, it's about the thrill of performing music again. "I can't believe, after all these years, I still really love these songs."